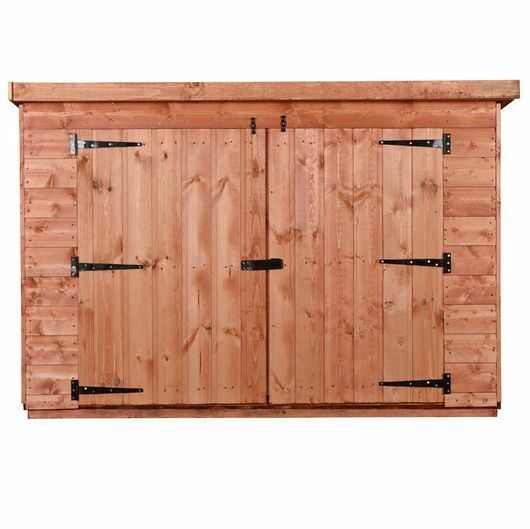 Our full tongue and groove Pent wooden bike shed provides ideal storage for your bikes, tools and garden furniture. 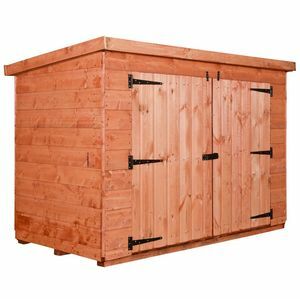 Lower in height than our normal shed range they are less obtrusive and are a great addition to any garden or yard. The cladding, emphasising rigidity and security, comprises of a high quality selected European softwoods, protected with a red cedar water based treatment. 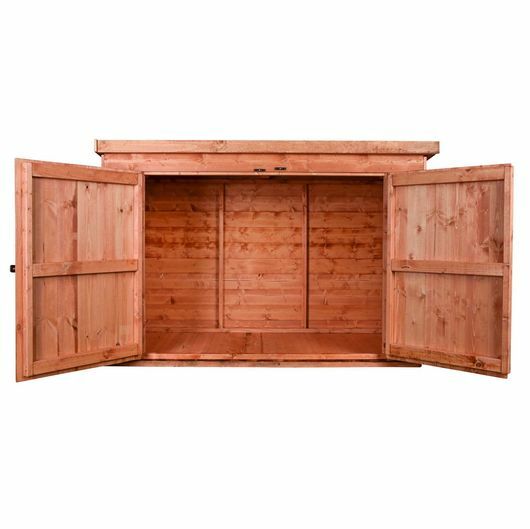 The double door feature ensures easy access.